E is for Explore! : Word Up! Encourage kids to increase their vocabulary with Word Up! Have kids pull a word out of a bag. Then, have them write a word report! Have students draw a picture to represent their word. Research their word and write the definition. Then, find synonyms and antonyms of their word. Define what part of speech their word is. Finally, count the consonants and vowels in their word. Then, they write a fraction for the consonants and vowels. For example: Ecstatic - 5 consonants in an 8 letter word. The consonant fraction would be 5/8. Using their word report, they write a sentence on a separate sheet of paper, incorporating their word. After they've completed Word Up, have students teach their word to the rest of the class. 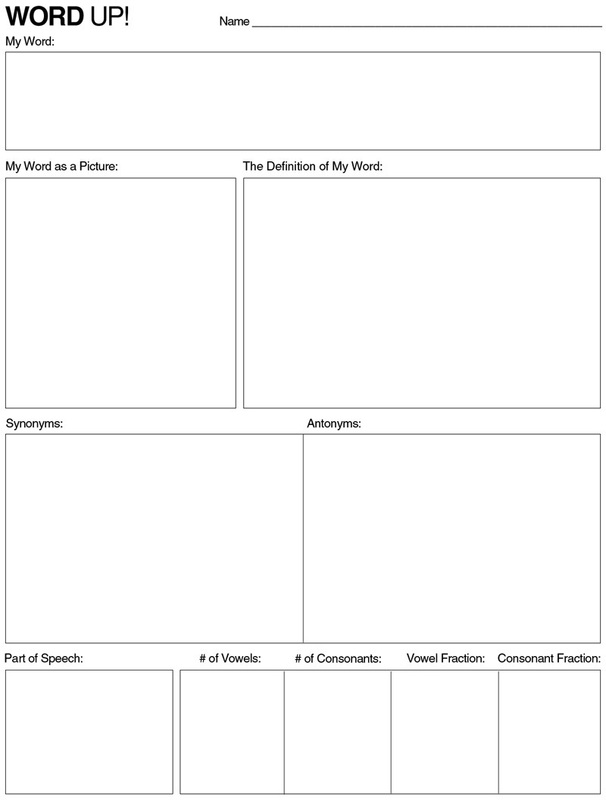 This activity will get kids to use different words in their writing. Plus, kids love playing the role of the teacher!